There’s a major disruption at the corner of East 28th Street and Park Avenue South. Around here, any flaneur beamed in from 1930 would recognise the Manhattan cityscape - looming cliffs of brick and stone making a canyon of the avenue, cut by narrow, shadowy cross-streets. But on this corner, a glass mountain has appeared. Instead of solid street frontages punctuated with lines of windows, the new arrival is a mass of oblique facades rising to jagged peaks. This is 400 Park Avenue South, also known as the Prism Tower. 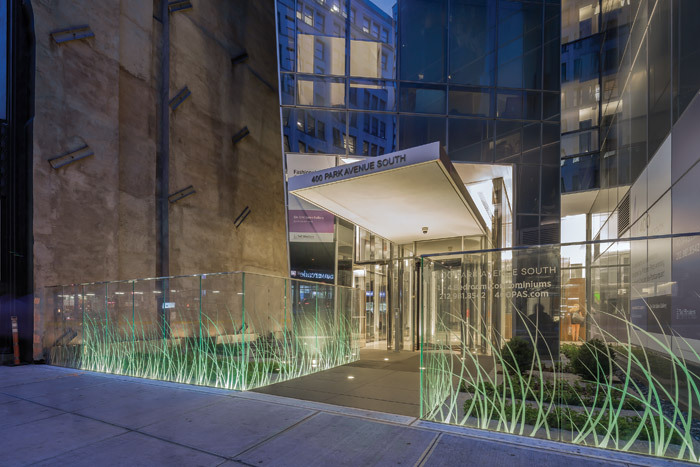 It’s the third Manhattan high-rise by Paris-based architect Christian de Portzamparc, and each one has discretely but definitively changed the course of Manhattan’s architectural story. 2016 has been a good year for de Portzamparc. 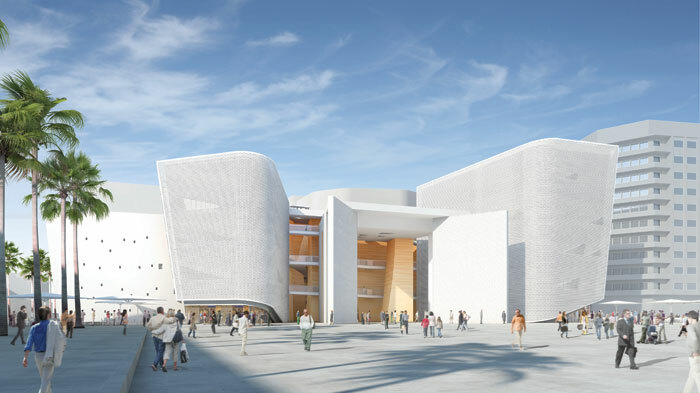 His works already grace four continents, and a project called Casarts will contain the biggest theatre in a fifth one, Africa. It’s nearing completion in the city of his birth, Casablanca. He’s published a richly illustrated story of his architecture and urbanism, Les Dessins et les Jours (Designs and Days). And the Prism Tower comes exactly 50 years after he first visited New York. Back in 1966 the city almost blew de Portzamparc off the path of architecture. He was studying the subject at École des Beaux-Arts in Paris, where he was one of the students critical of Le Corbusier’s urban visions (they even had a magazine called Melp, part-named after the Beatles’ Help! album). He took a nine-month break, and spent several of them in New York. He took odd jobs like washing glasses in the midnight hours in an East Side bar and running messages for the UN across Manhattan. He wandered the streets, and saw something very different from any Corbusian vision — as he says, ‘beauty without aesthetic intention, the result of technological civilisation in continuity with a historical past... the city as the great work of the time’. Flaneurs map the psychogeography of the city they walk, and here, it was seen through the prism of scenes that de Portzamparc gravitated to — in New York’s creative underground. An extraordinary confluence of beat-generation writers, avantgarde artists and musicians pushing into new territories across genres was underway, and it was getting switched on by drugs. ‘It was the time of performance, theatre, music, poetry,’ says de Portzamparc, ‘and LSD too. Every night events were happening.’ He saw the Velvet Underground playing in Café Bizarre in Greenwich Village, watched screenings of Andy Warhol’s films Chelsea Girls and the Mekas Brothers-shot Empire at the Factory then up on East 47th Street, and caught Stevie Wonder playing in Union Square. De Portzamparc’s ‘bag’ was jazz, and he saw greats like Charlie Mingus, and remembers being taken to Oscar Peterson’s place in Harlem. Thelonius Monk’s words ‘white is white, blue is the colour to watch,’ lingered in his mind. 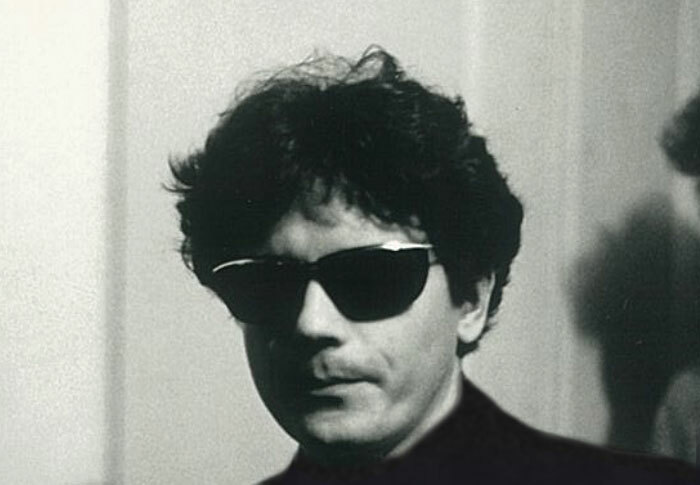 He had in mind Rimbaud’s words, ‘Europe and its ancient parapets’ when he returned. New York had opened his eyes but he found a very different mood in Paris. Radical politics was ‘more rigid’, there was ‘less LSD and herbs’, everything was ‘greyer, smaller, gentler’. He resumed his studies, and graduated in 1969. His scepticism about modernism was reinforced by interview-based studies of new housing estates he conducted with sociologists and psychologists. He questioned the philosopher Roland Barthes about his ideas of semiology, the study of signs, and he saw that the signs conveyed by the language of architecture ‘do not erase the physical experience’. He was fascinated by the interplay between the physical reality of form and its perception, and the unfolding of space as you move through it. Although he is now known as the architect of fantastic compositions of object and void that spread across their sites, such as the Cité de la Musique in Paris (1984–95) and the Cidade das Artes in Rio de Janeiro (2003–13), de Portzamparc’s first two projects had a strong vertical dimension. In 1971 he envisioned an octagonal 37m-high water tower creating a magical presence on the new-town skyline of Marne-les-Vallées. Completed in 1974, it now has grown trees (as originally envisioned) on the set-back that spirals around it. In 1975, de Portzamparc leapt at a chance to design 210 social housing units in Paris’ 13th arrondissement, in an area characterised by modernism. 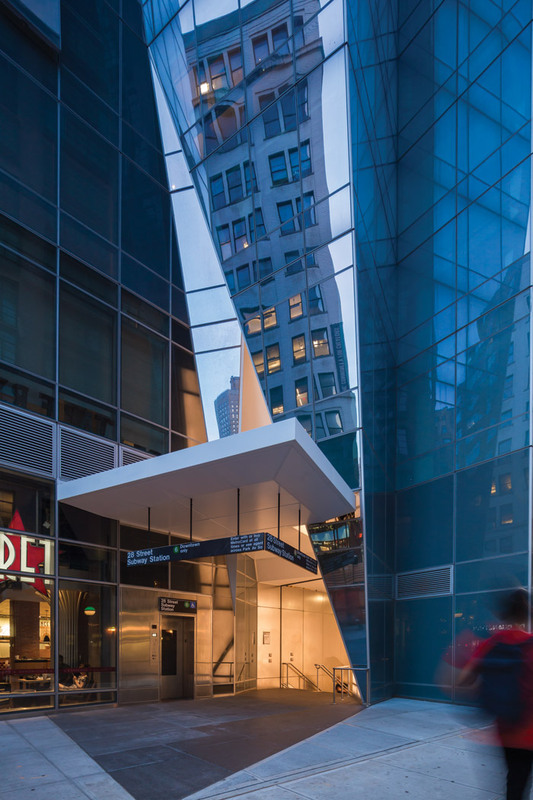 His idea was based on not another big block that refused (in Corbusian fashion) to acknowledge the street, but instead on creating a corridor across the site, inspired by Manhattan’s streets. 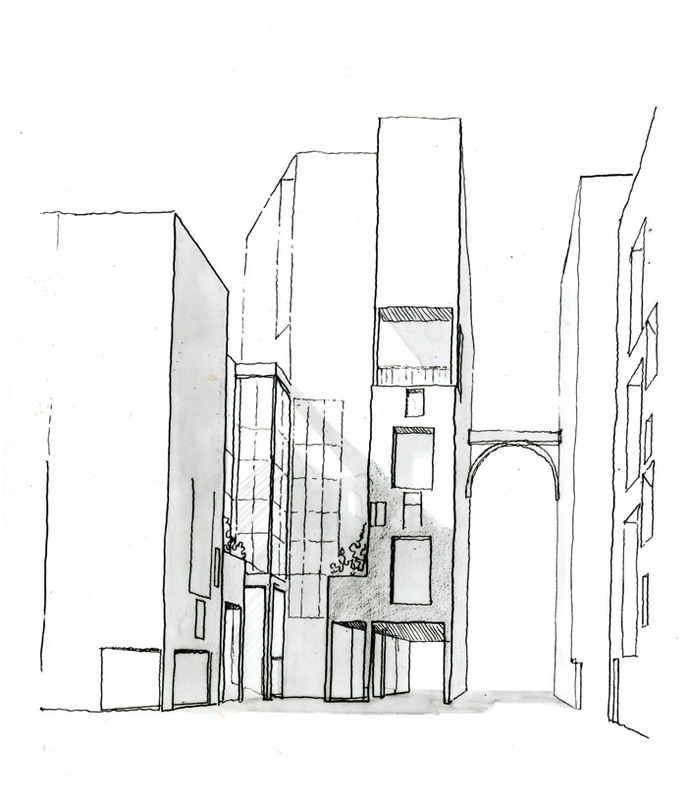 The project, called Les Hautes Formes, anticipated the ‘open block’ (or permeated) urban concept for neighbourhoods, which he would later develop and demonstrate in the seminal Quartier Masséna in Paris in the Nineties. It also realised de Portzamparc’s first habitable towers — a collection of white slender 12-storey structures, with features such as linking bridges and high, semi-circular balcony openings that hint at post-modernism. Fast forward to 1994, and just before de Portzamparc received the Pritzker Prize he was invited to look at a site on 57th Street by Bernard Arnault, head of luxury goods conglomerate LVMH. As de Portzamparc reports, he was asked ‘to do the LVMH flagship and I imagine he must give it some visibility in the mass of New York [urban] islands’. The site was tight, only 18m wide. 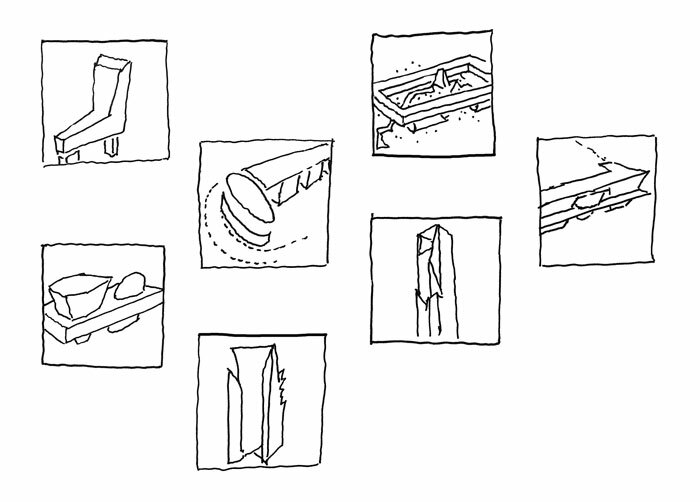 The initial design concept was stack architecture, a vertical assembly of post-modernist boxes topped by an open ‘Magic Room’ (which coincidentally echoed Hugh Stubbins’ rectangular plant aperture on the great Citicorp Tower (1978) and Charles Correa’s open box atop the similarly narrow India UN Mission on 43rd Street). This would be de Portzamparc’s second skyscraper, after the 116m-high Tour de Lille, a tower with a floating foot across railway tracks in the French city. But in New York, he needed to master the city’s complex zoning codes, which limited the envelope of a building according to site area (causing the characteristic step-backs of Manhattan skyscrapers ever since the Twenties). 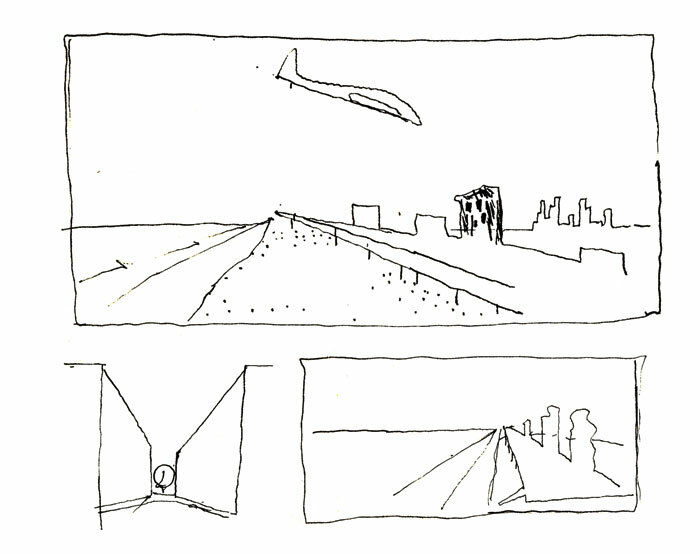 The LVMH form evolved, via curving solid curtains, into oblique glass planes folding around a 100m-high tower. The angled glass facades widened the views from inside, a strategy he would exploit later in the Prism Tower. 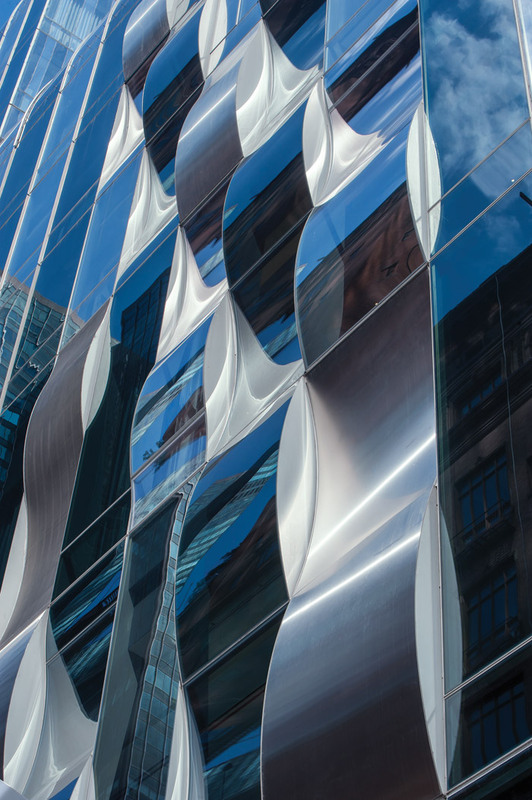 Nowadays, oblique faceted facades are common (including those of SOM’s One World Trade Center), but when completed in 1999, LVMH had New York’s first, and rather than symmetric it was dramatically asymetric. 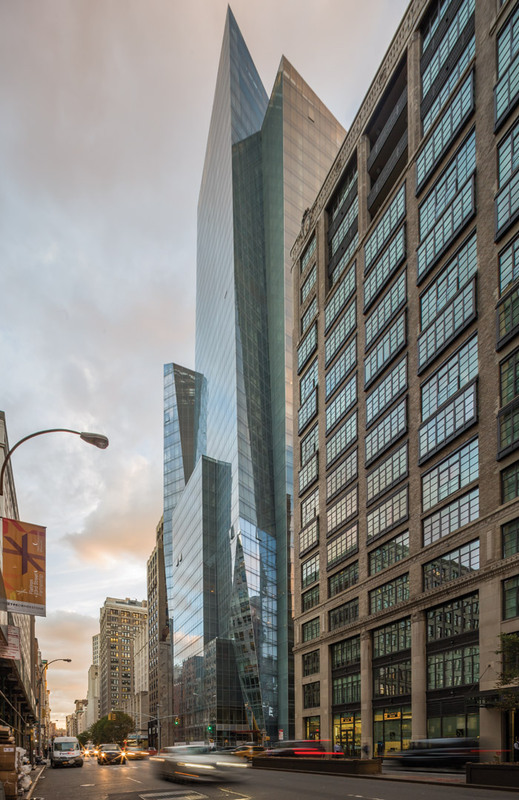 De Portzamparc recalls that Rick Cook, principal of CookFox, told him that it enabled him to do the Bank of America Tower (2008), a behemoth whose facades reach 288m (and its spire 366m). De Portzamparc was back in New York, this time meeting not the counter-culture crowd of the underground, but high-flyers shaping the skyline. He proposed a design for the Hearst Tower, and a skyscraper complex for Con Edison on the East River. In 2001, developer Albert Kalimian talked about redeveloping Philip Johnson’s New York City Opera on the Upper West Side. The next year, Kalimian showed de Portzamparc the L-shaped future Prism Tower site — a parking lot and an eight-storey brick block without distinguishing features. De Portzamparc presented studies for it to City Planning president Amanda Burden, who was pioneering the Uniform Land Use Review Procedure to stretch zoning limitations if development enhanced streetlife and skyline. Kalimian’s father said de Portzamparc’s glass design was ‘not for us, we’re brick builders’, but Albert liked it. 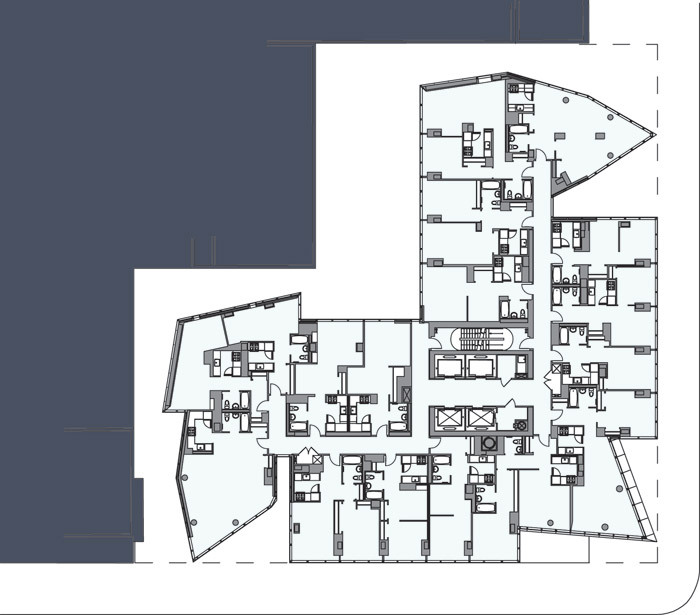 So did Burden, and talks began to increase the developable floor area by half. Then the project was suspended and in 2004 de Portzamparc worked up a design of triple towers with faceted facades and a spectacular, warm ‘hollow brick’ concert hall for the Opera site, which was not realised. This was the time when other European Pritzker Prize winners were piling into Manhattan — New York wanted yet more panache on its skyline. Renzo Piano had already won the New York Times Building competition and Norman Foster the Hearst Tower commission. In 2006, super-tall (over 300m) towers by Foster and Richard Rogers were announced for the World Trade Center site, and slim residential towers way taller than their neighbours were on the drawing board from Herzog and de Meuron downtown in Tribeca, and Rem Koolhaas at Madison Square (just blocks from the Prism Tower). 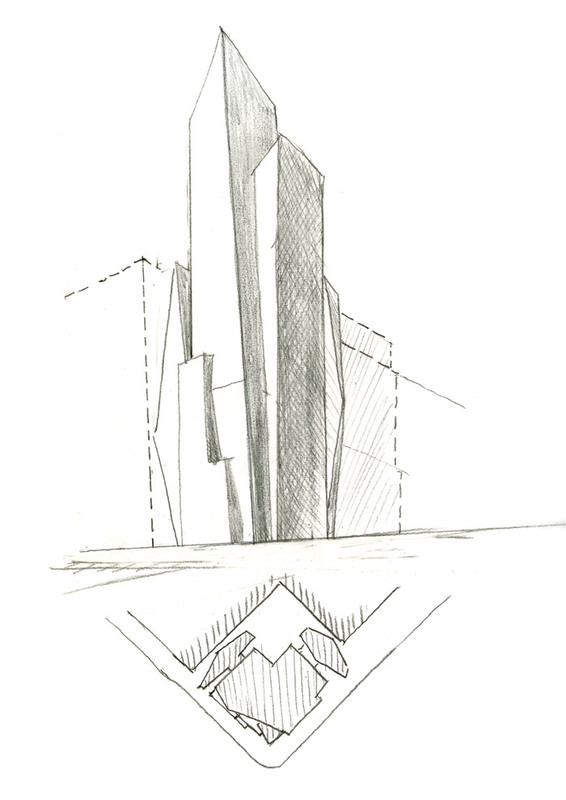 De Portzamparc was working on plans for Gary Barnett’s Extell Corporation — an urban study for a high-rise Riverside District on the Hudson, and also two angular towers separated by a block along 57th Street, near Carnegie Hall. By 2007, the ‘Carnegie Towers’ became one, and at one stage a flying buttress element half its 400m height was envisioned. Then the financial crash hit and put most of New York’s plans on hold. 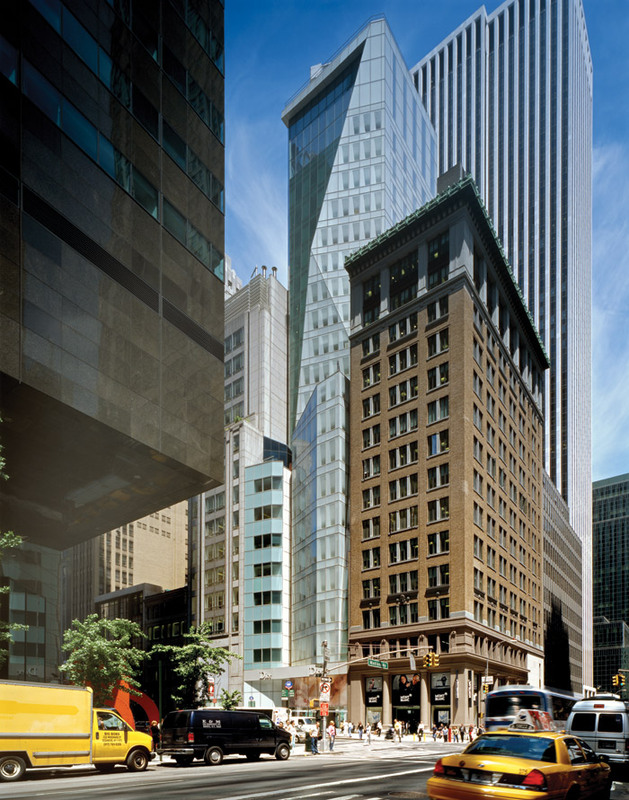 But by 2009, de Portzamparc had refined the Carnegie Tower into what is now One57. From another L-shaped site, the slim form rises 306m with gently curving edges at its roof and steps back on the south side, ‘like a giant waterfall’ he says, and on the sheer north facade, ‘a tribute to Central Park’. Only the top five of its 75 floors overlooking the park lean back, just slightly, to its apex. This facade is clear, but east and west, light and dark glass suggest pixels (‘I call them Klimt facades,’ says de Portzamparc) while the south side is vertical stripes. The soft, ethereal surfaces and discreet curves with their touch of art deco have been criticised, but are uniquely graceful. One57 is all residential from the 21st floor, above a hotel. Opened in 2014, it was the first super-tall in Midtown Manhattan since Shreve, Lamb & Harmon’s Empire State Building (1931), in terms of roof height. It was also the start of a wave of super-tall residential finger towers for the super-rich — some taller, such as Rafael Viñoly’s 425m-high, unfeasibly slender, square-plan stick, 432 Park. De Portzamparc had red the opening shot in Midtown’s current skyline race, and says: ‘The plurality of towers is a pleasure. It is a game.’ And his urban plans like Riverside, ultimately descended from Les Hautes Formes, anticipated new skyscraper quarters like (the much less subtle) Hudson Yards, now underway at the High Line’s north end. In 2011, the Prism Tower project was bought by developer Toll Brothers and, with Gary Handel as the local architect of record, construction began in 2012. At 145m it is not super-tall — only ranking around 300th for height in the city, but it may be New York’s pointiest, and with 40 storeys over 44,130 sq m, it packs in 368 residences as well as a screening room, fitness centre and an 18m-long swimming pool for residents. On the 27th floor is an open skylounge. 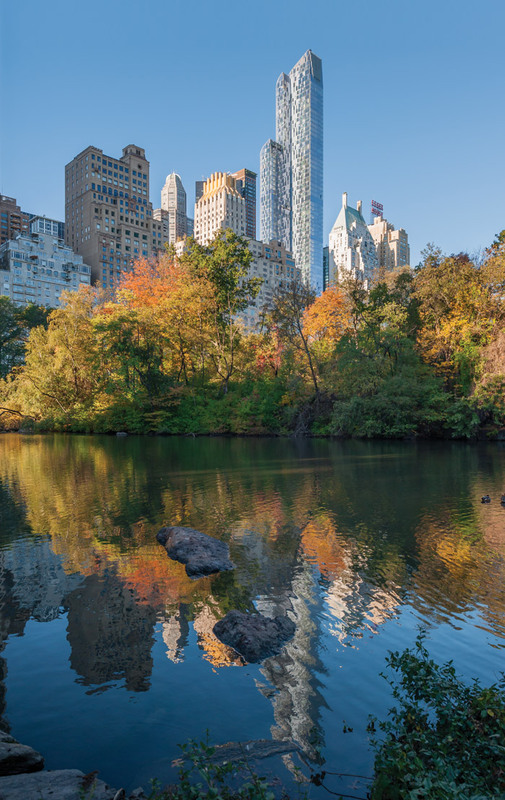 It is marketed as ‘sky couture’, but its rentals by Equity Residential on the first 22 floors are far more realistically priced flats than anything on 57th Street. ‘This time, I’m much more interested in housing for the city,’ de Portzamparc comments. Manhattan city blocks tend to line buildings up with no gaps, but the Prism Tower does not touch any other. A passageway makes it an island, with a secluded stone garden for residents behind it, bounded by the neighbouring walls. That has a little echo of de Portzamparc’s ‘open block’ urbanism. 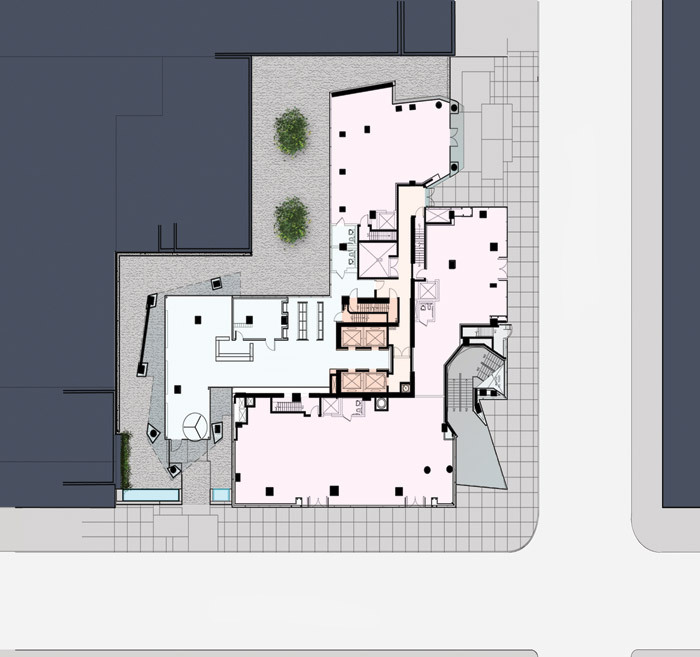 Retail spaces lie along the street frontage — one will be a restaurant on 28th. On the corner, the main volume is indented to accommodate a new subway entrance. He conceived the building with ‘two high pavilions’, steep shards that are wings on the north and west sides, rising up some 30 storeys around the central block. Although the Prism Tower presents facades aligned to the street grid, like a palimpsest of the modernist box de Portzamparc has always rejected, oblique facades break free above a step-back on the Avenue side and behind the 28th Street side, cutting into the volume above the street corner, fragmenting it all the way up to angular rooflines. ‘Some people think I am a deconstructionist,’ says de Portzamparc, ‘but no, I am a fractal type.’ The Prism Tower is a cluster of crystals which generates a host of angles. ‘More corners mean more long views’, as he says. He calls it ‘a machine for vision’. 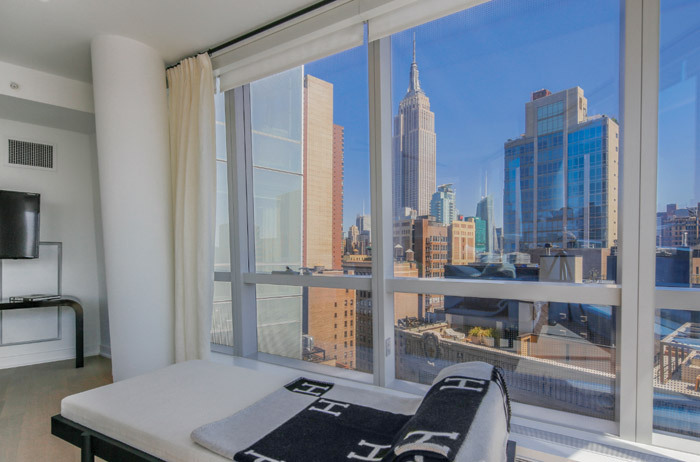 And the views are magnificent, taking you into — rather than over — the jumble and romance of the Manhattan skyline. Two icons dominate views — the Empire State Building to the north-west (still as mesmeric as in Warhol’s Empire), and just a block south the 187m-high, gold-leafed octaganal pyramid on the New York Life Building (1928) by neo-gothic skyscraper master Cass Gilbert, architect of the Woolworth Building. The Prism Tower has been called ‘the Fortress of Glassitude’ and its glass is unique on Park Avenue South. Otherwise, masonry predominates in what is called ‘NoMad’. So, is the new building an intrusion? Strangely, it fits in fantastically. It maintains the neighbourhood scale, and reflects the surrounding, solid, historic buildings. The oblique glass brings light down into this dark stretch of Midtown, and as if to fulfil Thelonius Monk’s words the sky itself lines the avenue in reflection. As for angles, Gilbert had already introduced them nearby, but in a regular, solid, geometric form. 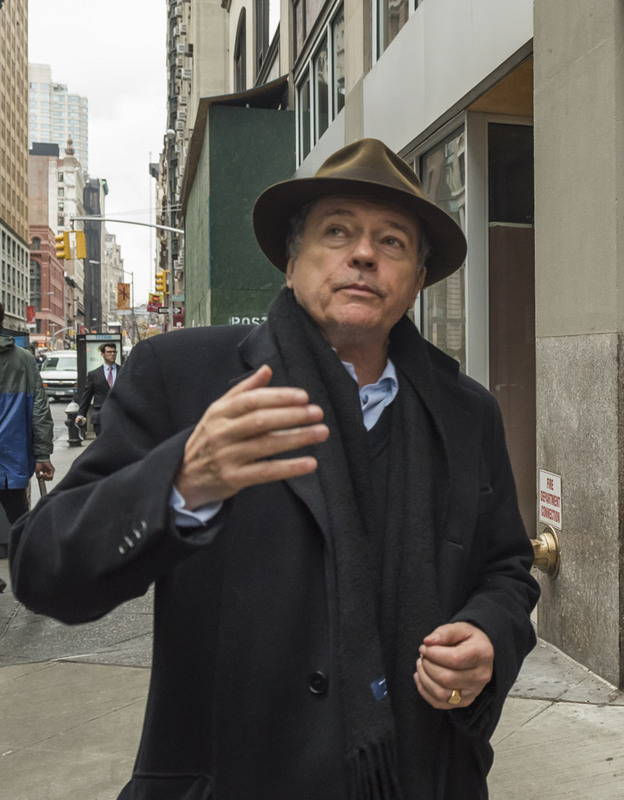 The irregular rise of de Portzamparc’s tower introduces movement and injects excitement — what Manhattan has always been about for him. 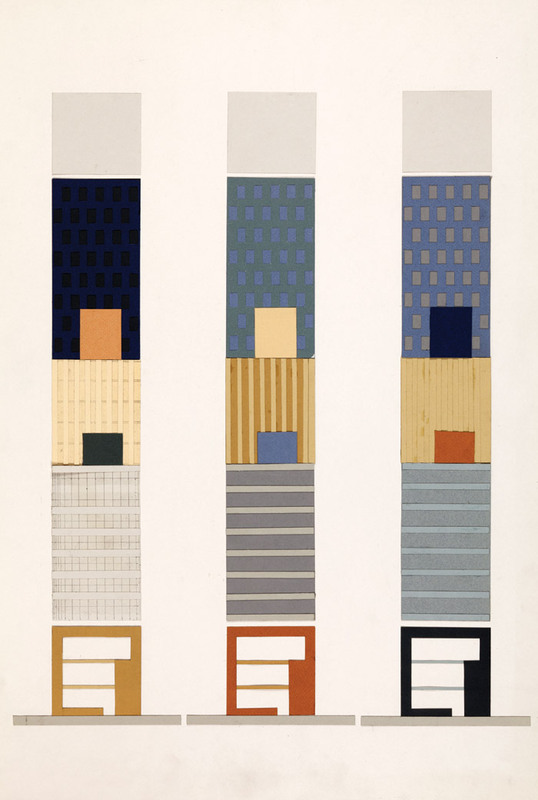 After he returned from New York in 1966 to re-engage with architecture, de Portzamparc had thought a lot about shape. It is, he says, ‘objective reality, but at the same time, a subjective phenomenon. This duality has an exciting ambivalence, essential to architecture.’ The Prism Tower demonstrates complete mastery of that exciting ambivalence.